Australian beatsmith Ta-ku is no stranger to our neighborhood, and for a good reason. He is riding first-class to fame with his constant activity through EPs, singles, and remixes. The last year has been quite explosive for him as the numbers of fans continually increase and spread. Ta-ku is known for his hip-hop and trap-like beat styles, though he frequently utilizes many others. In addition to his impressive releases and side projects, he constantly dabbles in the art of remixing. Ta-ku likes to alter tunes from local artists from Australia such as City Calm Down and Flume, though this month showed something different. His latest target is a common household name that anyone who is mildly knowledgeable in pop culture would for sure know. I am of course talking about Justin Timberlake. He's been on the down-low for quite a while, at least in the music scene. 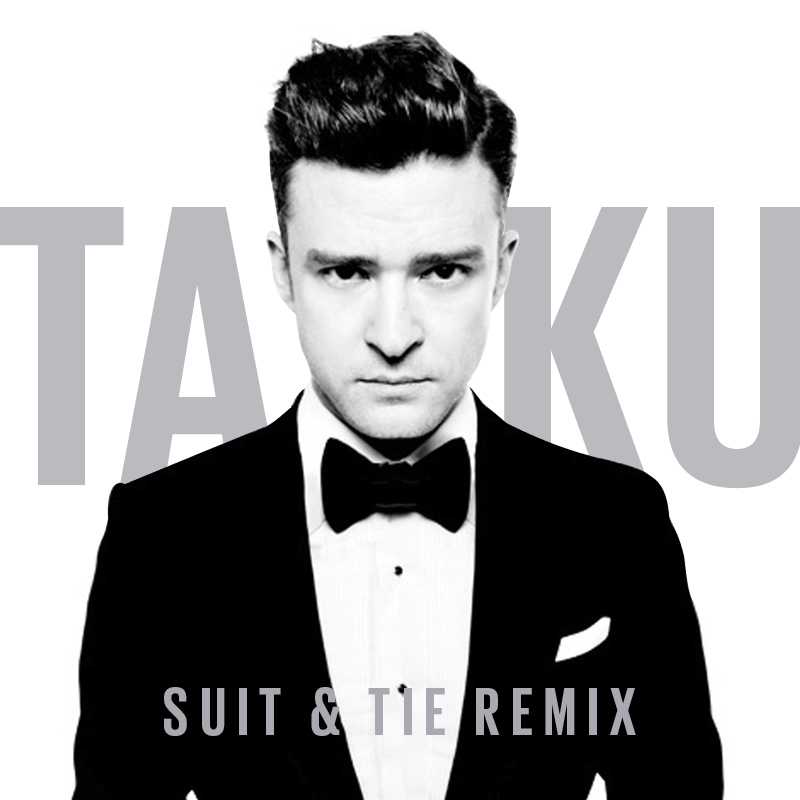 Timberlake's comeback single, "Suit & Tie" features Jay Z and their collaborative talent they have developed in the music world. Ta-ku snagged the opportunity and added his two cents worth into the tune. The vocals for the most part hasn't been changed, but the beat got an overhaul to add more electro-bing to that vocal-swing. What yielded is an equally if not more groove-tastic, danceable version of "Suit & Tie".